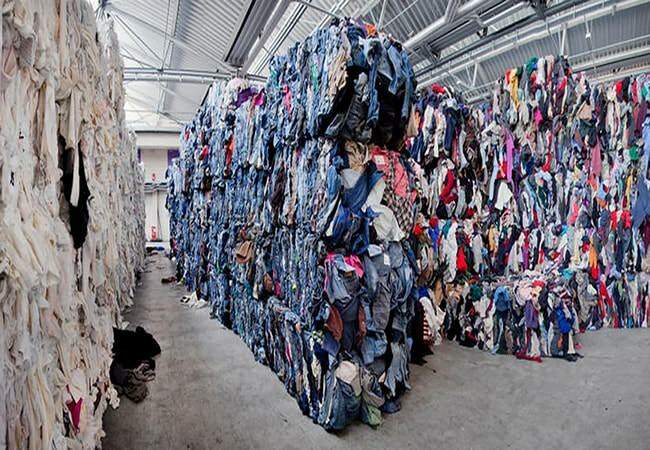 Wastage is an important factor in textile and readymade garment sector. Effective cost reduction of apparel can be done by identifying the particular areas of wastage clearly and taking necessary steps to control and reduce the wastage. As its importance, this article has presented all the wastage area in textile and apparel manufacturing industry. You may follow: How Textile and Apparel Waste Produced in Manufacturing Factory? Knitting process includes wastages trial run quantity, left over yarn in cones, yarn in the machine tube, knitting defects, roll making etc. Weaving process includes wastages from warping, sizing, weft winding and weaving. The wastage occurs here are balance yarns in warping creel and cones, trial run quantity, weaving defects, roll making etc. The wet processing of fabric includes the preparatory processes like de-sizing, scouring, bleaching, mercerization, heat setting etc. dyeing, printing and finishing. Its includes initial cloth or lead cloth, fabric ends joints, testing samples, non-rectifiable defects like holes, patches, lot marking etc. in all the above processes. Apart from theses, one more thing factor or property to be considered is the shrinkage of the fabric during the wet processing stage. This is not wastage but a property which is very much related to the fabric shortage. It is the most crucial stage in the apparel production because here only, the major percentage of wastage of the fabric occurs. The percentage of the cutting wastage depends on the efficiency of the marker planning of the particular apparel style. The marker planning efficiency of 85-90% is considered to be the very good efficiency. So, the wastage occurs in cutting may range between 10-15%. This wastage is unavailable and besides this wastage an excess wastage in cutting may occur due to excess lay length, poor making, excess overlapping or tailing, poor cutting etc. wastage also may occur while bundling and sorting the cut pieces in the form of fused edges, frayed edges, poor quality of notches or drills etc. The wastage in the apparel sewing occurs in the form of the defective pieces which are not as per the standards of the requirements of the customer. This may be due to stitch defects, seaming defects, assembly defects, ironing problems, poor workmanship etc. This type of wastage is known as rejection. Apparel manufacturing also includes special operations like embroidery, sequence work, smocking, apparel or garment washing or apparel finishing etc. each of these operations involves certain percentage of wastage. Apparel or clothing manufacturing requires various types of accessories which may be classified as production accessories and packing accessories. Production accessories include main label, wash care label, sequence, appliques, buttons, zippers, stickers; carton boxes etc. poor inventory and handling of these accessories may lead to more wastage. Some accessories might have been purchased from abroad which may not be available locally. The degree of material handling in all the above departments or segments plays a vital role in the amount of wastage creation. Material handling means not only the main raw material but also the materials involved in the particular processes or departments. For example, poor material handling of dyes and chemicals in wet processing may lead to seepage or spilling of costly dyes and chemicals. Effective and efficient material handling using modern techniques and methods will reduce the wastage cost considerably. These smart ideas additionally worked like a fantastic way to fully grasp that the rest have a similar passion just like my very own to learn a lot more regarding this problem.